Is Real Estate Market Analysis a Reality That Every Real Estate Investor Must Face? The real estate market plays a hypercritical role in the macroeconomic expansion and global financial stability. However, not all real estate market analysis is used to predict wide-sweeping economic trends. Many times, national, regional, or local developers will conduct internal market analyses in an attempt to accommodate market demands more precisely. Properly conducted market research allows developers to cast a wider scope of potential customers, as developers acquire a deeper understanding of trends related to affordability, the pride of ownership, etc. Although the value of market analysis is rarely contested, is it prudent for developers to question the importance of market data for an internal analysis? Whether developers deviate from market trends by style, price point, target demographic, or use, it is ill-advised for developers to rely exclusively on instinct or experience to determine the success of a future project. Whether complying with market demands or not, developers must perform a rigorous market study early in the development process to induce ideas, hone concepts, or to control risks. Once the market analysis is complete, a developer may make the determination as to the best course of action for the project. Additionally, in-depth market research is typically relied upon and required by investors, lenders, and community leaders – all of whom may have a vested stake in the project’s success. Given the importance of market data within the development industry, all participants of the process must be able to rely on any data presented. If an error occurs in the presented market data, the project may be changed in a way that was beyond any retroactive adjustments. For example, what if a market study represented a high demand for one-bedroom apartments? If a developer constructed an apartment building based on this data, a structure comprised solely of one-bedroom units might be built. Later, the developer may find out that other developers relied on similar data and introduced one-bedroom units to the market concurrently. At this point, any retroactive adjustment to the structure may prove cost prohibitive and the developer may not be able to re-align the project with the actual market. Many times, markets are misrepresented because analysis often defines local market areas based on physical geographies such as counties, municipalities, census tracts, or zip codes. However, these combinations may not match the boundaries of the market area under assessment. Although it may be more time-consuming or costly, developers may want to encourage analysts to utilize current technologies to create custom geographic areas based on defined corridors, parcel size, transfer frequency, etc. Overall precise, diligent, and systematic monitoring of real estate market developments lead to serious, comprehensive analysis which facilitates the direction of the real estate development industry. It is the industry’s general reliance on market analysis that provides for constructed projects to meet the dynamic demands of the market. KW CRECO specializes in providing its clients with advanced market analysis solutions. With more than sixteen years of real estate project engineering to his credit Brad Kuskin has relied on market analytics to serve as the foundation of real estate investment strategies. 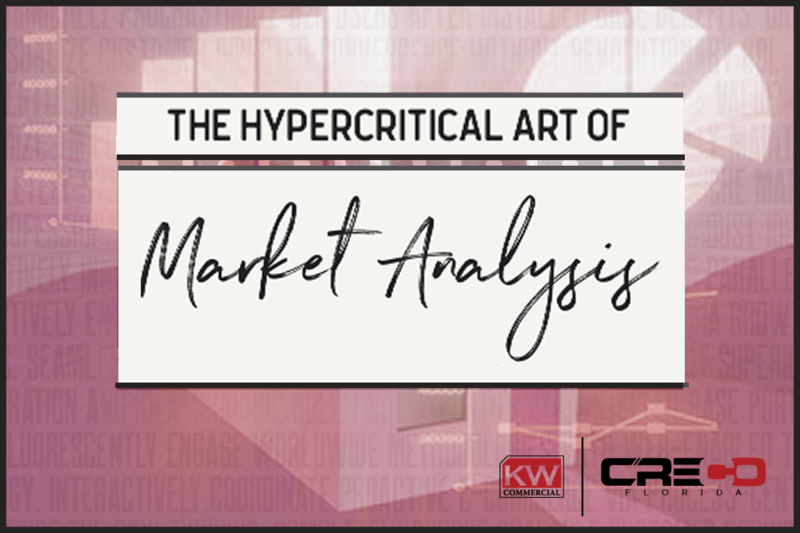 Contact KW CRECO today for an enhanced discussion of real estate market analysis strategies.